The authentic Amiga experience with the original Amiga Operating System. AmigaOS 4.1 is coming and has seen no less than 6 free major updates and at least 88 smaller updates released since then. 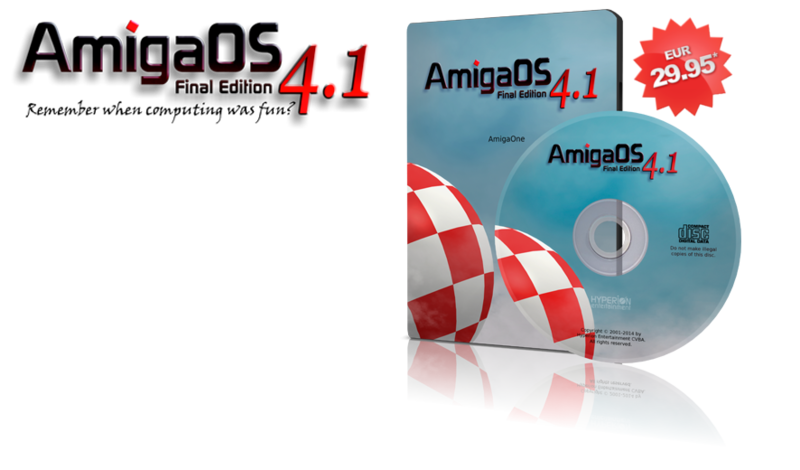 The new Final Edition extends AmigaOS 4.1 functionality with new features, such as the new console, the unified graphics library with RTG support and the much improved DOS, Intuition and Workbench. * Suggested retail price in Euro including VAT. May vary depending on exchange rates and local tax or duties. 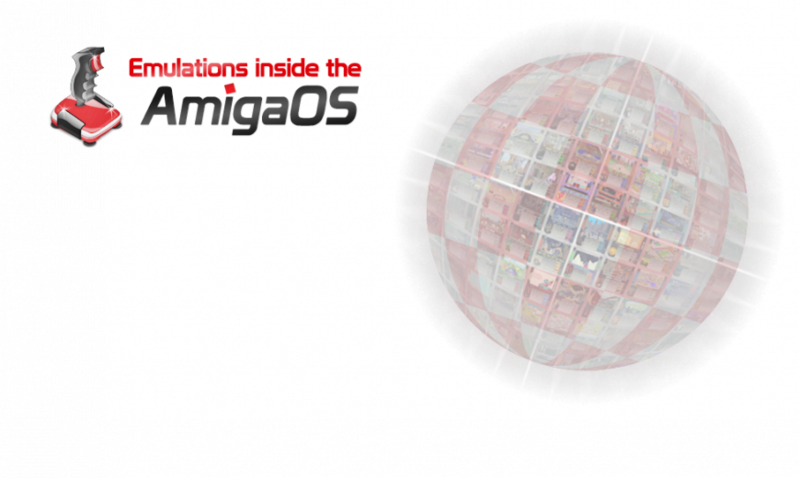 AmigaOS 4’s extensive 680x0 emulation capabilities are helping to fulfill the need for running Classic Amiga software. Run your beloved 68K Amiga programs on your modern and fast hardware fully integrated with the rest of the AmigaOS. Timberwolf is the name given to the AmigaOS port of the legendary FireFox web browser. 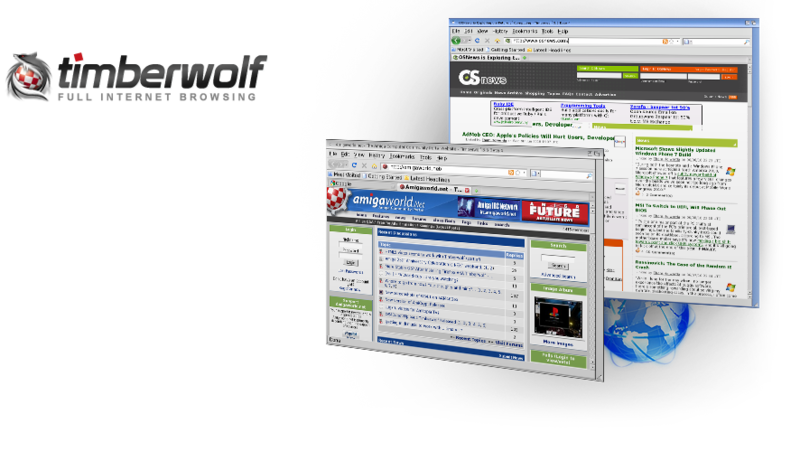 The Timberwolf project has been successful thanks to new advanced features of AmigaOS. The new shared objects feature allows rapid development without having to restructure every underlying library. Accelerated graphics are possible thanks to the underlying changes in the operating system. AmigaOS enables projects like Timberwolf to be realized with much less effort. 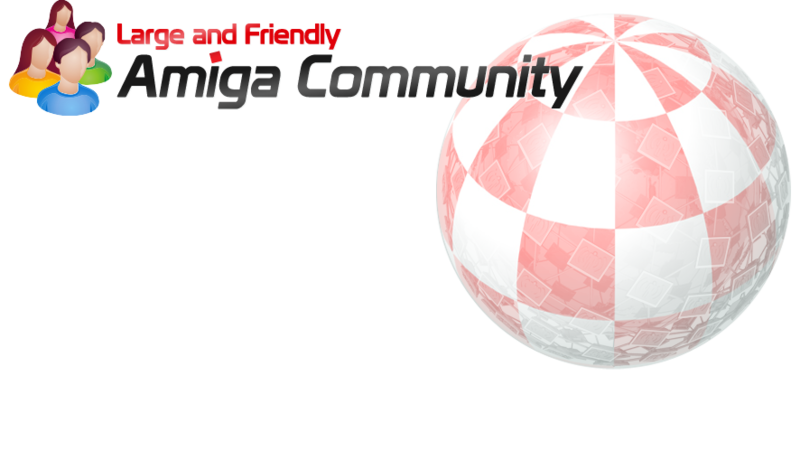 The AmigaOS community is one of the oldest and most dedicated. The loyalty of this community is one of the reasons that AmigaOS is still actively supported and continuously developed. 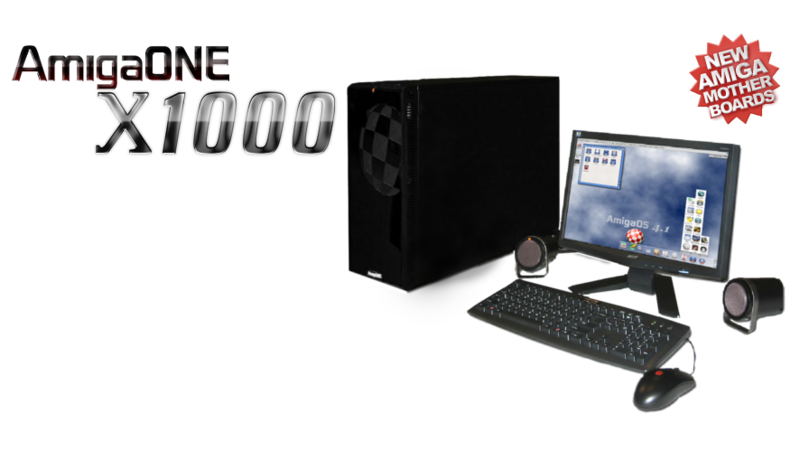 AmigaOS runs on specific hardware using PowerPC processors. These are high-performance, low power consumption processors that can be found in many embedded systems. Companies are building new powerful hardware capable to run AmigaOS which is available to buy from various resellers around the world. Powerful browsers are available for everyday website surfing. Timberwolf is the AmigaOS port of Firefox, while OWB is a lighter but still powerful browser. Both are freely available to use. PageStream is a creative and feature-rich desktop publishing/page layout program available for AmigaOS. Download the Software Development Kit now and start developing native applications for AmigaOS. Blender is the free open source 3D content creation suite which utilizes AmigaOS' built-in Python support. Discover a new, great way to create 3D graphics. Great applications are available to watch movies like the open source MPlayer and the new Emotion exclusively created for AmigaOS. Listen to your beloved music collection or online radio stations.